I am on an uploading spree here! LOL! 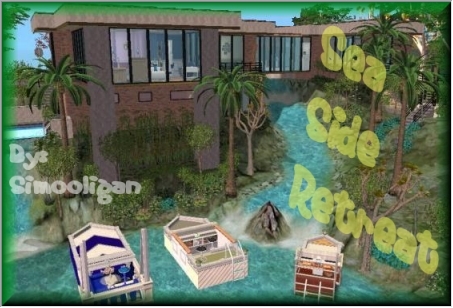 Welcome to Sea Side Retreat! ~Value is over 215,000 Simoleans. ~There is NO CC in this lot. Do not mistake the kitchen cabinets for CC. They are Maxis Wine cabinets turned backwards. ~HC all by me. (Terrains, floors, and walls) Transparent tile by Jobtwo. Please see the four picture collages! 1) This collage has many views of the exterior of the house. 3) Interior views of the kitchen, and dining! 4) Floor plans of the house. This house is 2 levels.